eLearning content curation is hard work. Unfortunately, it’s not as simple as gathering as much data as possible and dumping it onto your online learners. It requires organization, planning, and audience research to mine the best online training resources for your eLearning course design and deliver it in a way that’ s easy for online learners to digest. These are the 8 best practices for more effective eLearning content curation. Aimlessly wandering the Internet and hoping to stumble on valuable assets is not the best approach. You need to have a plan of action in order to focus your research efforts for effective eLearning content curation. Creating a to-do list is a great place to start. Determine your goals for each round of research. Then break these down into tasks. For example, the goal is to build online learners’ creative thinking skills. As such, you’d look for one or two online training resources for each learning preference that cover different aspects of the skill set. For example, a podcast that offers brainstorming tips, and online training simulations that enhance lateral thinking. This is also a good time to assign individual tasks to your team. You probably already have a handful of sites that you visit frequently. This is a good start, but you should compile a list of go-to online training resources to keep everything organized. Gradually add to the list as you discover new sources that provide valuable and reliable eLearning content. You should also trim the list if certain sources fail to meet your criteria over time. For example, a website that you’ve visited regularly becomes too biased or opinionated. Review the list periodically to cross off items that are out of touch and incorporate new favorites. LMS reports, audience research, and other sources of Big Data can point you in the right direction. Gaps are a good place to begin. What does your current eLearning course lack and how can you fix the problem with curated eLearning content? What do online learners need to know in order to achieve the outcomes? Are there online training activities or modules with high participation rates? If so, they may like to see more of the same. Big Data helps you get the most from your eLearning content curation sessions. You won’t waste any time researching irrelevant topics, as you’re equipped with learner data. Everybody has personal preferences that come into play during the learning process. 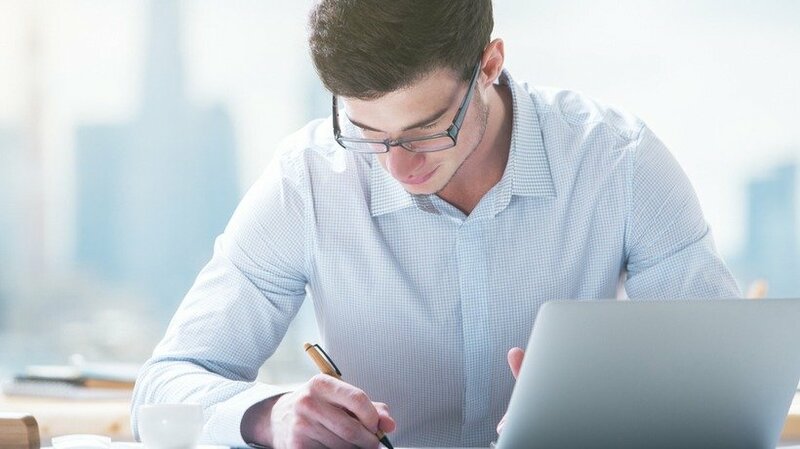 Some online learners like to listen to eLearning content, while others need more text-based online training activities. Don’t focus on one specific type of content when gathering online training resources. Instead, try to cater to a combination of learning preferences. Look for content that offers something for everyone, from podcasts and online video tutorials to microlearning serious games and online training simulations. eLearning content curation doesn’t mean that you have to omit your own voice. As a matter of fact, you should add personal touches to incorporate your own style. For example, include a brief story of a real-world example to preface a video link, or incorporate images from the workplace to make the online training content more relatable. If you have the time and resources, revamp the entire piece to personalize it. For example, use a rapid eLearning authoring tool to integrate images and an audio narration. Just don’t forget to cite your original sources. There are a number of aggregation tools that reduce the time it takes to gather online training resources. For example, RSS feeds allow you to view the latest post from your favorite sites, eLearning blogs, or social media pages. You can even sign up for search engine alerts based on specific keywords. For instance, you’ll receive a notification every time someone posts about “negotiation skills” or “compliance training tips”. There may be eLearning content hiding in the nooks and crannies of your own online asset library, such as outdated eLearning webinars or slideshows that just need a bit of work. Meander through your archives to see what you can reuse based on your current training needs and objectives. This is why it’s crucial to organize your eLearning content database and keep everything categorized. You don’t want to sift through thousands of online training resources to find relevant topics. You can also check out sources you haven’t visited in a while, like online discussions that were dormant for some time but are active again. The last item on our list is all about brand identity. Every piece of eLearning content that you integrate into your eLearning course design needs to reflect your image. This includes curated eLearning content from third-party providers. The tone, imagery, and subject matter should convey your brand message or at least fall in line with the overall image you want to portray. For instance, controversial eLearning content may have a few valuable takeaways, but it can damage your credibility and send the wrong message. Review the piece as a whole to see if it aligns with your identity and supports desired behaviors, such as core values that you want your employees to portray while they are representing your company. It’s not about how much curated eLearning content you provide, but the value it offers your audience. There’s also the issue of whether it supports your learning objectives and makes the information easier to understand. Use these 8 tips for more effective eLearning content curation to multiply the benefits of your eLearning course. How do you sift through all the available material and identify what really matters to your online learners? Which methods can you use to curate content more effectively? Do you know how to analyze and organize curated eLearning content? 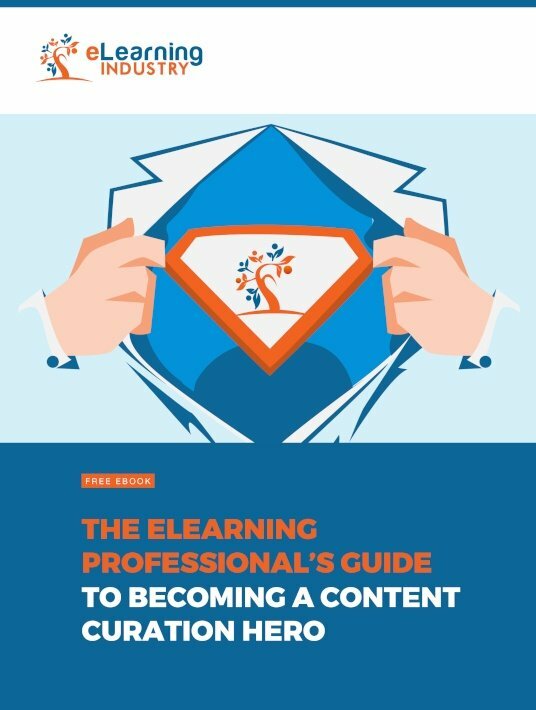 Download our free eBook The eLearning Professional's Guide To Becoming A Content Curation Hero to discover the key criteria to consider when mining resources online. You’ll also learn how to organize and analyze curated eLearning content to ensure that it’s easily digestible.